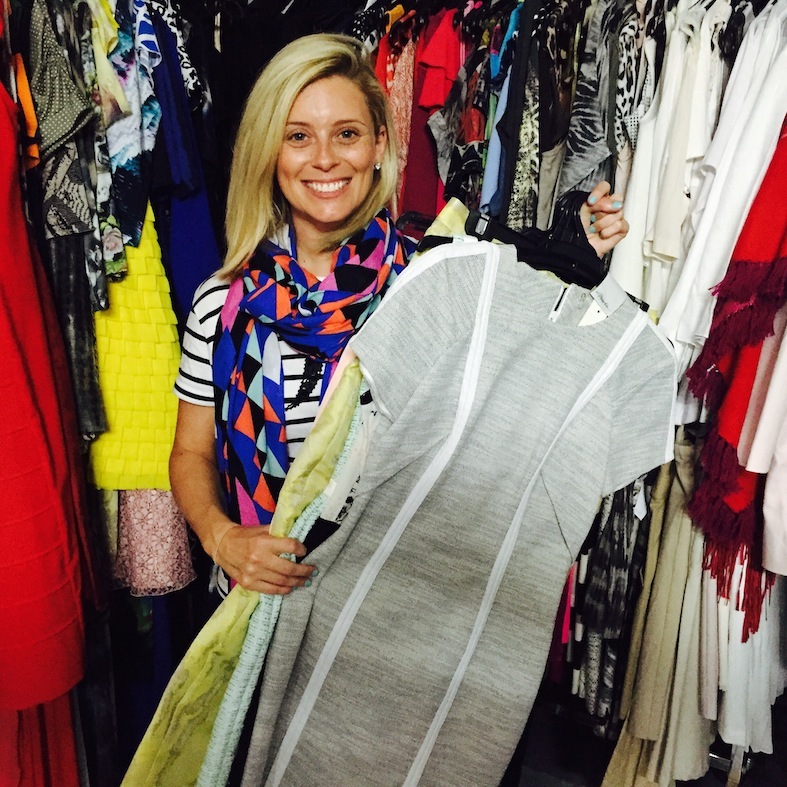 I’ve had a sneak peek at the items available at this Thursday night’s Suited to Success sale and they are some amazing bargains to be had … and all for a great cause! Australia is known as the lucky country; a country where women have the right to vote, to lead the government and to receive equal pay to our male counterparts. Yet there are more than 350,000 Australian women currently registered as ‘looking for work’. They come from all walks of life; they are in their early 20’s and their 60’s. They have been single, married, divorced or widowed. Some are fleeing domestic violence; others have escaped a war ravaged country. The figure is staggering and it is heartbreaking. And according to the organisations which help get women back into the workforce, it’s also a gross underestimate of the actual state of play, with women who receive as little as one hour’s pair work a week considered ’employed’. So far this year, Brisbane’s Suited for Success (who also run Dress for Success) have styled almost 800 clients with entire outfits including shoes, bag, accessories, make up (for the ladies) and toiletries. “Imagine if I took all of your clothes and everything in your bathroom away and then told you to go to a job interview. Imagine how you’d feel, I’m guessing it wouldn’t be very confident,” Suited to Success General Manager Nicole Hard said. “The outfit is just the external first step but it helps our clients see themselves in a different light. “Our clients are diverse in terms of age, education, work experience and cultural background; varying in age from 16 to 65 years. “At the time of accessing our services, many women are experiencing disadvantage; they might be exiting domestic violence, a newly arrived migrant or refugee, experiencing homelessness, in temporarily poor health and are unable to work, recently widowed or divorced or have a disability. While the majority of their clients are female, Suited to Success also helps about 350 men a year. “We don’t get a job for people; we just provide them with the understanding, assistance and knowledge to be able to help themselves,” Nicole said. Suited to Success will hold their major fundraiser—Bubbles & Bargains Exclusive Designer Sale—this Thursday 29 October at 488 Queen St, Brisbane from 5.30pm to 9pm. Available for sale will be a fantastic range of quality pre-loved designer clothing at bargain prices with brands including Alexander Wang, Review, Calexico, Veronika Maine, Cue and more. Plus there’s a divine new pair of Prada sunglasses that will be raffled off! Every outfit sold will help Suited to Success assist unemployed men and women in south-east Queensland on their journey to employment. Clothing prices start from $20. Entry $30. Click here to book your ticket. If you win these Prada sunnies which are being raffled off, you could make this outfit for under $100! These Prada sunglasses will be raffled on the night. I think they suit me. For more information on how you can help change a woman’s life by supporting Dress for Success or Fitted for Work visit: www.dressforsuccess.org/brisbane or www.fittedforwork.org/.